Mission: Impossible - Fallout First Weekend Business in India. 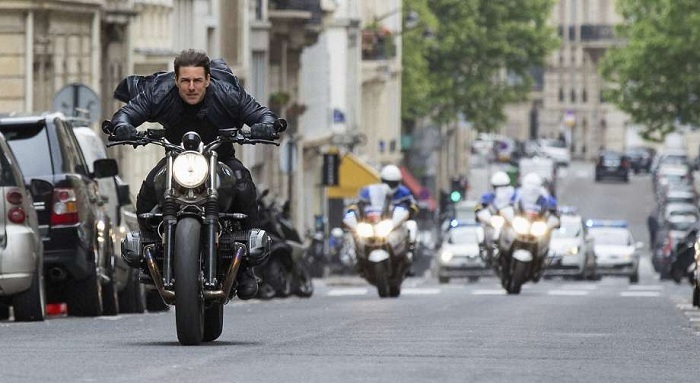 Mission: Impossible - Fallout has done remarkable business in India in opening weekend. Film started big on 1st Friday and then showed excellent trending through Saturday and Sunday. In fact Sunday showed further growth despite Saturday box office numbers being in higher level. MI6 has collected an approx 14.25 crore nett on 1st Sunday (Day 3). Film total collection after 3 days is approx 36.75 crore nett. Film is now all set to zoom past 50 crore mark in a few days. If film shows good to very good hold on 1st Monday, then film has a big chance of crossing 75 crore nett in India and emerge as one of the all time highest Hollywood grossers. Friday - 9.5 crore nett. Saturday - 13 crore nett. Sunday - 14.25 crore nett. Total - 36.75 crore nett.